There was a common theme with all the interviewed 2016 beneficiaries of the Federal Government’s Social Investment Scheme, N-Power: The unmistakable tone of uncertainty that masked equal parts of worry and exhaustion. The about 300,000 2016 beneficiaries of N-Power were counting down the remaining days of their two-year tenure that began in November 2016 before the news of an enhanced scheme was announced in October 2018. Normally, the talk of an extension and enhancement for the social investment scheme that keeps more people out of the unemployed bracket should be greeted with cheers but the government has not been particularly forthright with the necessary information to quell any form of scepticism that may arise from the public. The sparse details about the enhanced scheme have not helped the government’s credibility. “As I am talking to you now, the only source of information I have was the tweets I saw in October and December,” said a beneficiary, who preferred anonymity. “Dear 2016 Beneficiaries, Relax! Your stipends will be paid. You are still on the programme,” read the tweet on N-Power’s official Twitter handle on December 28. While the government has an eye on the climbing unemployment rate and seeks to tackle such issues with the social investment program, some beneficiaries have doubts about the government’s intentions as they are yet to be informed of their job description in the new scheme. According to the Nigerian Bureau of Statistics (NBS), Nigeria currently has more than 20.9 million people unemployed, up from 17.6 million people in the third quarter of 2018. Another beneficiary in Lagos told The Guardian that despite being assured of continuity of the scheme, he was yet to be contacted about the take-off date of the enhanced N-Power scheme. The same sentiment is shared by Wunmi, an N-teach beneficiary, who mulls over how easily they could be let off before she reveals that her true desire is a “permanent” job. The likely increase in salary in January 2019 has her smiling but she quickly jolts back to reality saying she will believe the enhancement scheme when she receives the improved December salary. 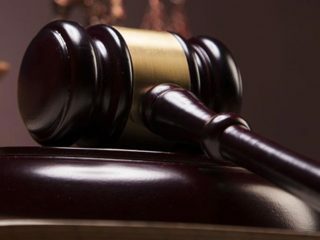 She worries that the scant details of the enhancement scheme are a telling sign and that the contract length could depend on how the election swings. Although he received the alert for his December salary during the interview, thus confirming the extension, he however fears the scheme could go bust after the election. 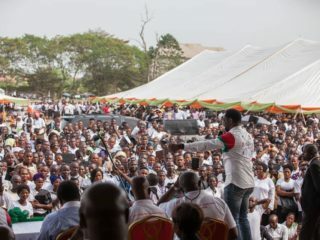 The ruling All Progressives Congress, with President Buhari and Vice President Yemi Osinbajo seeking re-election in 2019, have boldly campaigned using the scheme with claims to tackling unemployment despite the increase in unemployment rate from 18.8 per cent in the third quarter of 2017 to 23.1 per cent in the third quarter of 2018. Although Wunmi is happy she will not be adding to the unemployment numbers, she still couldn’t see past the possibility of the scheme being a political ploy, this close to the elections. A beneficiary from Osun state shares the same worries, pleading with the government to release details of the programme to avoid ineffective beneficiaries. While speculating that the enhanced scheme would end in February, he said there were plans by some to ditch their place of placement if they do not get concrete information about the enhancement scheme from the government. Another N-teach beneficiary in Lagos said public schools and students will be most affected by the lack of information. Adequate information, she explained, will enable schools to plan how to plug the holes that will be created when N-teach teachers stop going to their PPAs. “For now, they do not know what will hit them when we stop coming to school without prior information,” she said. 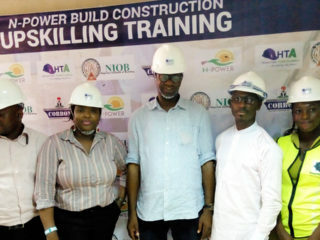 The senior special assistant to president Muhammadu Buhari on job creation and youth employment and the national coordinator of the Federal Government Social Investment Programme, N-Power, Afolabi Imoukhuede, however, insisted that the extension has no political undertone. He reiterated that the initial plan was for the programme to last only two years. But the need to tidy “loose ends” warranted the extension. According to Imoukhuede, the extension, ultimately, is in the best interest of the beneficiaries. “The purpose for which we designed the programme was to enhance their transition and since those for whom we designed it still have issues, we need to tidy up all loose ends which is what the enhancement intends to achieve,” he said on OSRC TV in Akure on December 7.